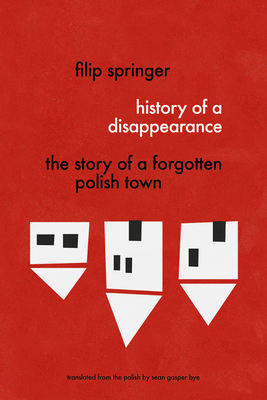 Winner of Asymptote Journal’s 2016 Close Approximations Translation Contest and Shortlisted for the Ryszard Kapuscinski Prize, History of a Disappearance is the fascinating true story of a small mining town in the southwest of Poland that, after seven centuries of history, disappeared. Lying at the crucible of Central Europe, the Silesian village of Kupferberg suffered the violence of the Thirty Years War, the Napoleonic Wars, and World War I. After Stalin’s post-World War II redrawing of Poland’s borders, Kupferberg became Miedzianka, a town settled by displaced people from all over Poland and a new center of the Eastern Bloc’s uranium-mining industry. Decades of neglect and environmental degradation led to the town being declared uninhabitable, and the population was evacuated. Today, it exists only in ruins, with barely a hundred people living on the unstable ground above its collapsing mines. In this work of unsparing and insightful reportage, renowned journalist, photographer, and architecture critic Filip Springer rediscovers this small town’s fascinating history. Digging beyond the village’s mythic foundations and the great wars and world leaders that shaped it, Springer catalogs the lost human elements: the long-departed tailor and deceased shopkeeper; the parties, now silenced, that used to fill the streets with shouts and laughter; and the once-beautiful cemetery, with gravestones upended by tractors and human bones scattered by dogs. In Miedzianka, Springer sees a microcosm of European history, and a powerful narrative of how the ghosts of the past continue to haunt us in the present. Filip Springer (born 1982) is a self-taught journalist who has been working as a reporter and photographer since 2006. His journalistic debut—History of a Disappearance: The Story of a Forgotten Polish Town—was shortlisted for the Ryszard Kapuscinski Literary Reportage Prize in 2011 and was nominated for the Gdynia Literary Prize in 2012. He was also shortlisted for the Nike Literary Prize in 2012 and winner of the third annual Ryszard Kapuscinski fellows contest for young journalists. Sean Gasper Bye is a translator of Polish, French, and Russian literature. He has translated work by some of Poland’s leading nonfiction writers, including Malgorzata Szejnert, Pawel Smolenski, and Lidia Ostalowska. An excerpt from his translation of History of a Disappearance won the Asymptote Close Approximations Prize in 2016. He lives in New York. "Americans needn’t look abroad for stories like that of the village of Kupferberg. We’ve got plenty of places like Centralia, Pennsylvania, to keep us awake at night. But there is something about layering those stories over a history that extends far back beyond the the reach of American cultural memory. For Americans our ecological disasters are part of our ongoing and glorious zeitgeist, deeply felt, but quickly forgotten, as one might expect of a people with no past (or a past kept locked in the back of a deep, dark closet) and an overblown sense of manifest destiny. It’s Sean Gasper Bye’s unpacking of the before and the burden of memory that struck this reader square in the chest."